Far Cry 3 ends 2012 with a bang. It’s no surprise that Far Cry 3 is one of the best open world games of 2012. Our review supports my claim. So what exactly makes this open world shooter from Ubisoft a surprise hit? Well it’s basically a combination of several things. It’s no Skyrim and it does not need to be. Far Cry 3 is all about survival and how you do that depends on the way you interact with this vast forest. You may be the hunter but you also may be the hunted. Read on to know why Ubisoft’s shooter is one of the most intriguing games of 2012. Let me get this point out of the way first. 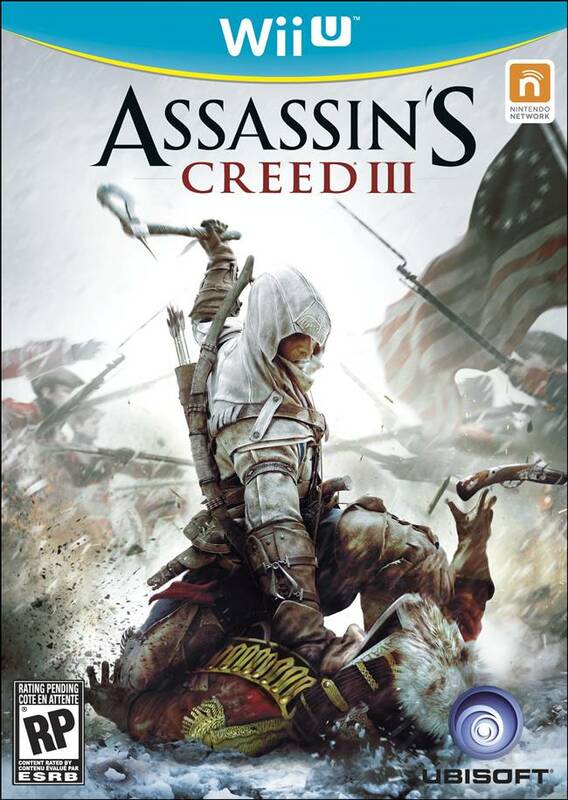 It seems that the development teams for Assassin’s Creed 3 and Far Cry 3 have shared a few ideas across. Just to name a few: hunting, map locations and stealth are a wee bit similar in both games. The presence of Electric Towers and urging the player to climb them so more locations are revealed in the map is a direct inspiration from the Assassin’s Creed series. 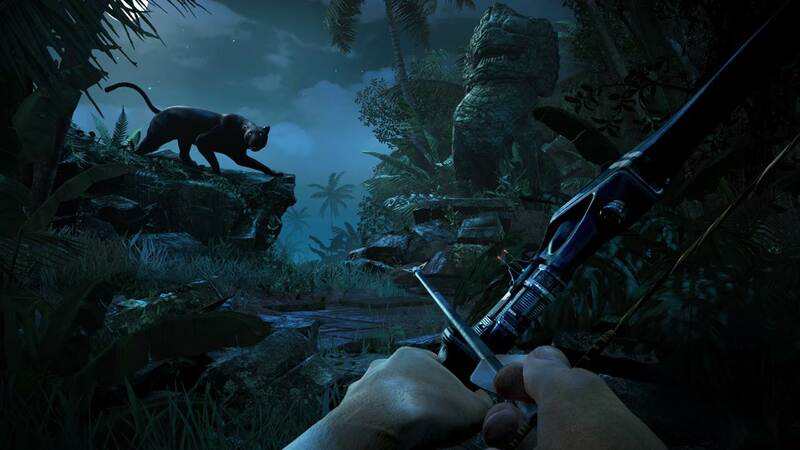 Some sections in the game require stealth which is a tad too similar to Connor Kenway’s exploits and hunting is almost the same, except they are used for different purposes in the respective games. This is not essentially a bad thing and even though they may look similar in implementation, they have a different feel and purpose in Far Cry 3. 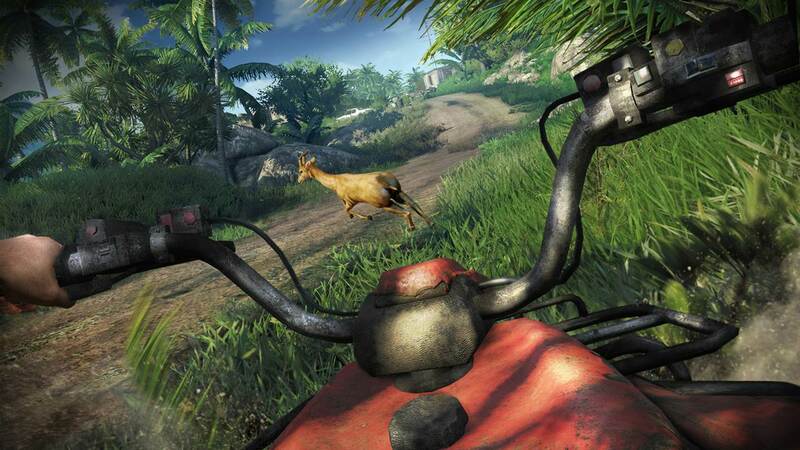 The tension of survival takes the gameplay and other mechanics to all together different level in Far Cry 3. Far Cry 3 has a…massive and I really mean massive open world environment. It is almost 10 times bigger than its predecessor Far Cry 2 and for the most part it feels alive. The draw distance is a sight to behold but the most important point is that the daunting forest wants you. The fictional island is full of towers, hired kill contracts, enemy outposts and general stores. The only real disappointing feature is the absence of an automatic save system in between missions or while exploring. This is a big pain. Other than that you will have plenty to do while you drool your eyes over this visually attractive open world forest. Most of my time with Far Cry 3 was invested in exploring the jungles and the secrets it holds. As I mentioned earlier the jungle is very much alive and the game throws at you several surprising situations that will either make you jump off your seat or make your jaw drop. So, I was in this open landscape hunting a herd of deer and a Tiger jumped out of the vines and grabbed my hand with its intimidating teeth. This literally happened out of nowhere as I was focussing all my energies to take down that herd of deer. This is just one such instance that the game manages to sweep you off your feet. Moving on, I always had a feeling that situations will be all under control while being underwater. I approach this enemy base with my entire cool and being calm and collected and BAM! A crocodile comes out of nowhere. In the moment, I fire my assault rifle, creating enough disturbance to alert the enemies. And my plan to take them out in stealthy manner was right there, lying flat on the ground! If you plan to survive in Far Cry 3, you have to hunt. There is no other way out and the game kind of forces you to do that. The game gives you enough tools at your disposal to hunt down several types of animals and collect flora and fauna from the environment. Now everything you hunt can be crafted in to something useful. For example, the Loot Sack requires skins of a certain animal. You can upgrade it to hold more loot items, but again this will require hunting and collecting skins. You can then craft a bigger loot sack. If you want to carry more ammunition, the rule is same, hunt a particular animal and craft it. This encourages exploration which in turns increases gameplay time. You can also collect plants to craft medicines which can be used to heal yourself, increase perception and ton of other things that are crucial for your survival in Far Cry 3. 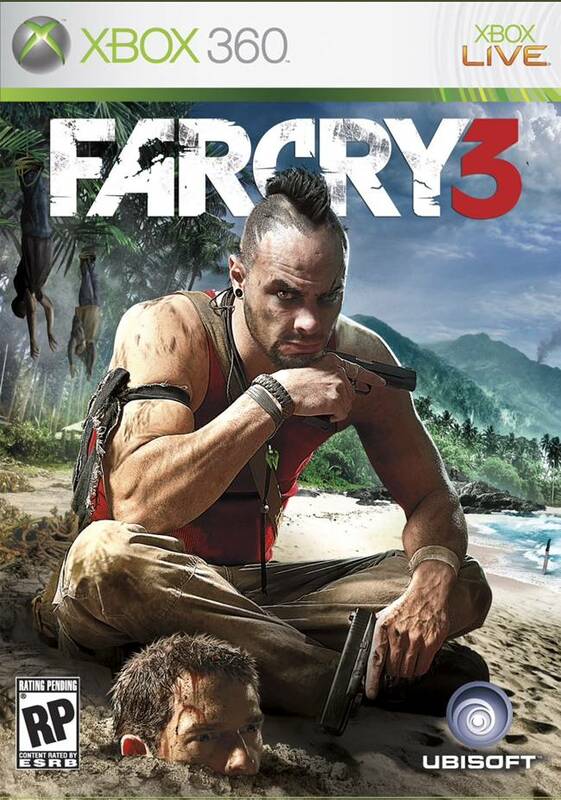 Far Cry 3 was released earlier this month for the PlayStation 3, Xbox 360 and PC. Do you plan to pick up the game? If you already own the game, can you share your experience with us? Let us know in the comments section below.